Samsung has put together a great compact digicam that offers appealing features and performance with a price tag that is very easy on the wallet. Read more in our Full Conclusion. 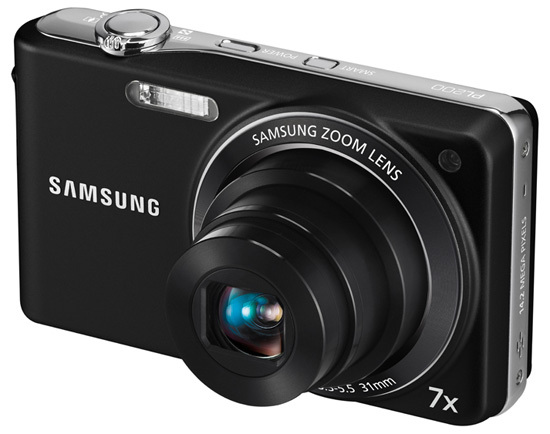 Along side the announcement of their new Dualscreen cameras (the ST100 and ST600), Samsung also unveiled a new affordable compact camera, the PL200. This unit offers some versatile options, such as a 7x optical zoom lens and 14-megapixels of resolution, which are stuffed into a stylish and compact frame. The PL200 also uses a 3.0-inch LCD, can record 720p HD video at 30fps, and offers their latest version of Smart Auto for both still and video capture. This mode uses scene recognition technology to analyze the subject(s) being framed, then selects not only the best exposure values but scene settings too. The Samsung PL200 is available in black, red and silver with a suggested retail price of $179.99 US.